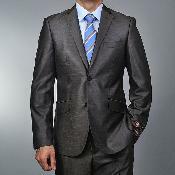 It's great to begin with the grey suits to produce a guy's conventional clothing. These kinds of suits are essential traditional suits arriving a range of gray shades beginning with dark charcoal suits to mild colored grayish colors easily obtainable within side nowadays industry. When it comes to applying professionalism and trust, gray suits furthermore enjoy a predominant role the same as other traditional colors these kinds of black and navy blue blues. They also provide lower expense in terms of selecting ideal blends as well as combinations of t-shirts or and also jewelry. And because of its adaptability as well as completeness with this particular color additionally they match with any kind of color and shades with regards to t tops and also jewelry. Designer scarves along together using unique and also distinct designs additionally go pretty much with this particular tinted match. And no issue with what an individual pair it, you're definitely certain to have that stylish, remarkable, trendy and professional graphic without fall short. However, so that you can take it easy, it is best to choose grilling with outdoor cooking with smokey barbecue grilling colored gray suit for getting in which ideal formal perspective. So when you choose the suit that perfectly suits you well, that you might say enhances your system entire body owing to the actual coloring's flexibility. Mensusa.com merchandises a variety of grayish fits which differ based on styles, models, tones, materials, cuts and much more at really aggressive as well as fair costs. You might be bound to find best prices to your buying programs just in your web site. In addition to, all of these grayish fits are available in various styles personalized simply by simply well-liked and most respected makers from around the world. The Italian designer gray fits tend to be really remarkable and also delightful the fit's level of superior and finish. 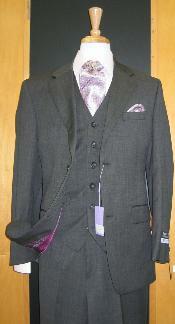 Apart from single bosomed design, you also have dual breasted grayish fits which are really classic and also solid when it comes to formal wear.